With a Bonavita coffee brewer, you're just one press of a button away from a perfect cup of coffee. We've refined our brewers down to the essential elements so it's simple to consistently brew great coffee. The excellence of the Bonavita 8-cup coffee brewer is recognized by the Specialty Coffee Association as part of its Certified Home Brewer Program. 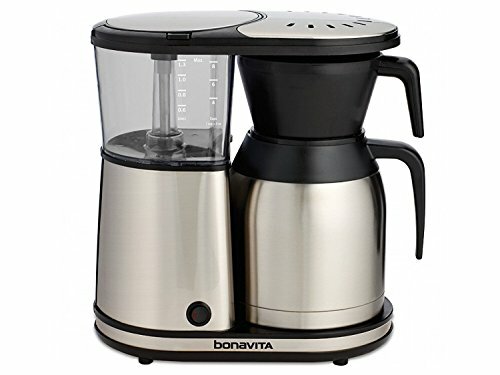 The Bonavita coffee brewer is designed to brew a full pot of coffee at 195-205°F. Once coffee comes in contact with air, the temperature will decrease significantly. Immediately after brewing a full pot, the temperature in the carafe is typically 175-185°F. Brewing a smaller batch or brewing at higher elevations may result in a lower temperature.